Excited for the Fairport Harbor fireworks on July 5th, I staked my spot on the hill at the end of Eagle Street. What I didn't realize, is the fireworks would launch a bit east of there and be blocked from view by a large tree. It wasn't a total loss, as I got a few nice shots of the of the carnival in the beach parking lot. It was a beautiful night, in the mid- to upper 70s. The clouds were perfectly setup for a stunning sunset. 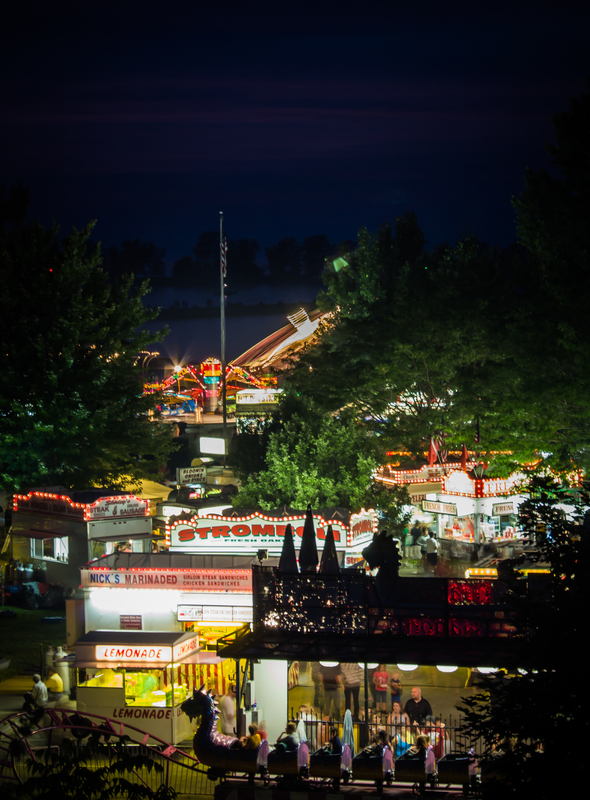 Boats were on the lake, awaiting the fireworks, and the rides were in full motion at the carnival. Once the fireworks started I moved to a better spot on the beach, minimizing the obstructions. After the fireworks, the lights on the boats were twinkling and reflecting and glass-like water.